anyone heard any plans to renovate or redevelop? Seems like a prime corner. Re: What's Happening to the Old Katz building at Westport/Main? Prime corner in problematic neighborhood. I remember how 24 years ago the area was thought to be about to take off, with the Werby building replaced by the bank, Sorreal in the old theatre, and Mama Stuffeatis a packed and trendy place. The area slid back downhill instead though. It needs to grow. These sickly parts of Westport need to absorb into the WRBL if they want to see a significant turnaround. 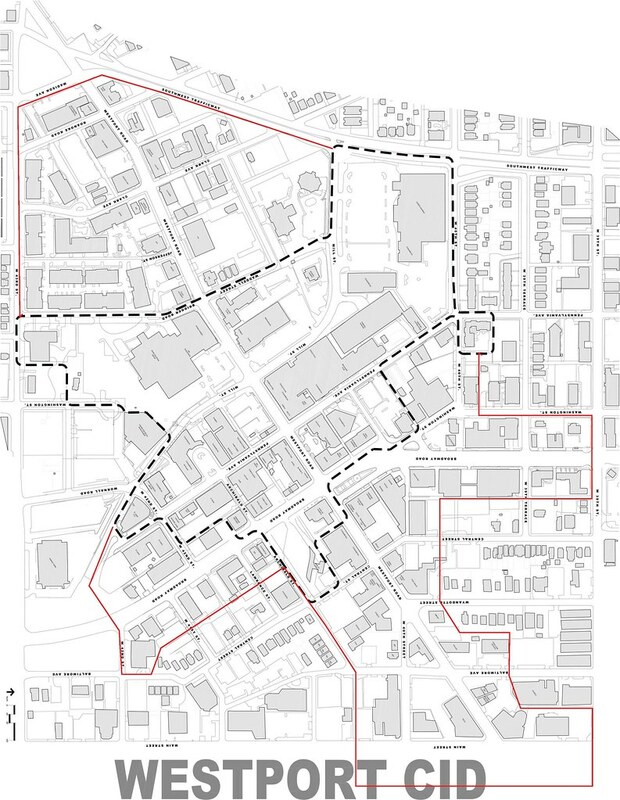 Properties I think should join the WRBL are outlined in red. AlbertHammond It surprised me, but your observation caused a reaction within me that was like the lid coming off a can of joke candy, with snakes popping out. I look at the map, and I immediately see multiple 'reasons' in every corner, as to why 'success' has not visited those areas. Virtually none of which would be changed in any fashion, with being part of the WRBL. I'm probably best off to just say I disagree. loftguy wrote: I look at the map, and I immediately see multiple 'reasons' in every corner, as to why 'success' has not visited those areas. Virtually none of which would be changed in any fashion, with being part of the WRBL.